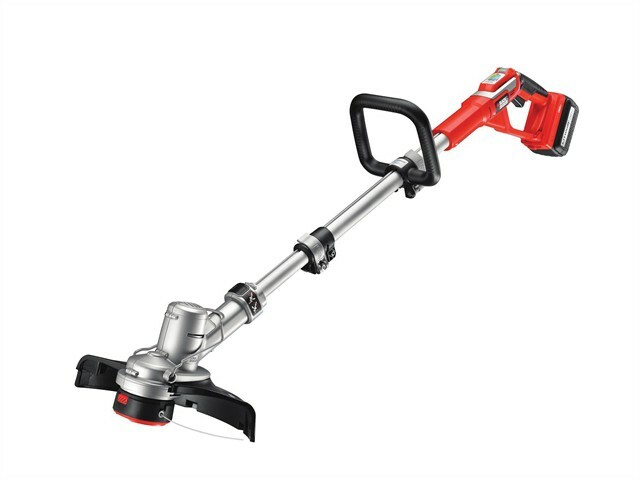 The Black and Decker GLC3630L Cordless Grass Strimmer® has a high torque gear system with E-Drive Technology® to get the job done faster through an improved rate of cut. It acts as 2 tools in 1 and easily converts from trimming to edging. Power Select provides a choice of maximum run-time (ECO mode) or power (TURBO mode). The efficient cutting system powered by a Lithium battery cuts up to 2,500m in one charge. The Strimmer® is cord free and hassle free, with no danger of cutting the cord and no harmful emissions. It has a lightweight design for improved manoeuvrability and control. Its 30cm cutting swath is the perfect size for large gardens. The AFS® or Automatic single line feed system, that saves you time and effort and the telescopic tube suits every gardener.